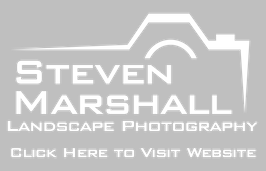 ​All of the landscape images on this website have been taken by your host, Steven. He has a passion for photographing the landscape, coastline and dark skies that can be found across Sunart, Morvern, Moidart, Ardgour and Ardnamurchan. He offers photography workshops for beginners and intermediates, location guiding for those who want to go to some great locations for photography and sessions on Lightroom for those who want to organise and develop their images. Guests of Rockpool House will receive a 10% discount on any photography tuition taken during their stay. If you’ve just got a new camera and are not sure how to use it, or if you’ve had one a little while but would like to take better photos, then why not take some time to learn how to get the most out of it? Steven offers one-to-one beginners photography sessions throughout the West Highland Peninsulas of Sunart, Morvern, Moidart, Ardgour and Ardnamurchan. So, if you live in the area or are planning to be here on holiday, one of these sessions could be for you. For further details and pricing, click here. Are you already familiar with how your camera works? Do you want to learn something new? How about long exposure photography, night photography or time-lapse? With our landscape, coastline, weather and dark skies, you will find ample opportunities to try any of them. Steven offers tailored one-to-one intermediate photography sessions throughout the West Highland Peninsulas of Sunart, Morvern, Moidart, Ardgour and Ardnamurchan to help you with this. ​The West Highland Peninsulas of Ardgour, Ardnamurchan, Moidart, Morvern and Sunart have a landscape that is made up of rugged mountains, dramatic coastlines, gorgeous beaches, beautiful seawater and freshwater lochs, heather moorland and ancient woodlands. It is a landscape that is bathed in stunning light during the daytime and sits under skies that are so dark at night that you can clearly see the Milky Way. This makes this place a photographer’s paradise. So, do you want to find yourself in some great locations when the conditions are such that you get the best shots you can with the limited time you have here? If so, Steven can act as your guide to show you around the area. ​Have you taken hundreds of pictures on your last holiday trip? Do you want to get them organised? Do you want to make them look their best? Do you want to be able to print and share the end result? If so, then Steven can help you get to grips with Lightroom, a great tool for organising and editing your photos.